Marketing’s big challenge is to synchronize people, processes and technology to deliver contextually relevant right-time, right-target messaging. Do this and your targets will make the time to engage and entertain your value proposition. This was my takeway after contributing to the panel discussion at the Melbourne session of marketing guru Jay Baer’s Sitecore-sponsored ANZ tour last month. If your target is “too busy” to return calls and/or respond to email traffic, then you are not sufficiently relevant. 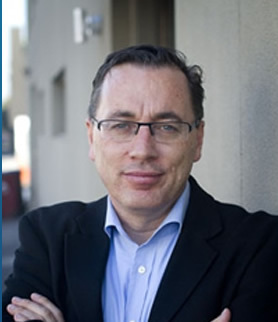 Jay’s high concept is “Youtility”, marketing he describes as “so useful people would pay tor it”. He says we have to be prepared to “embrace the power of eventuality”. “Relationships come together over time, typically these are micro interactions,” Jay says. “Eventuallity” may be the right way forward, but it requires a high degree of organisational and cultural maturity and patience. It is way easier to get caught now. The truth will always come out. 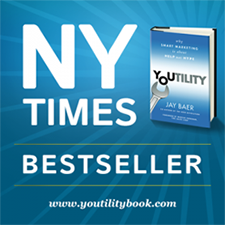 Jay Baer’s Youtility is a NYTimes best seller: smart marketing is about help not hype.